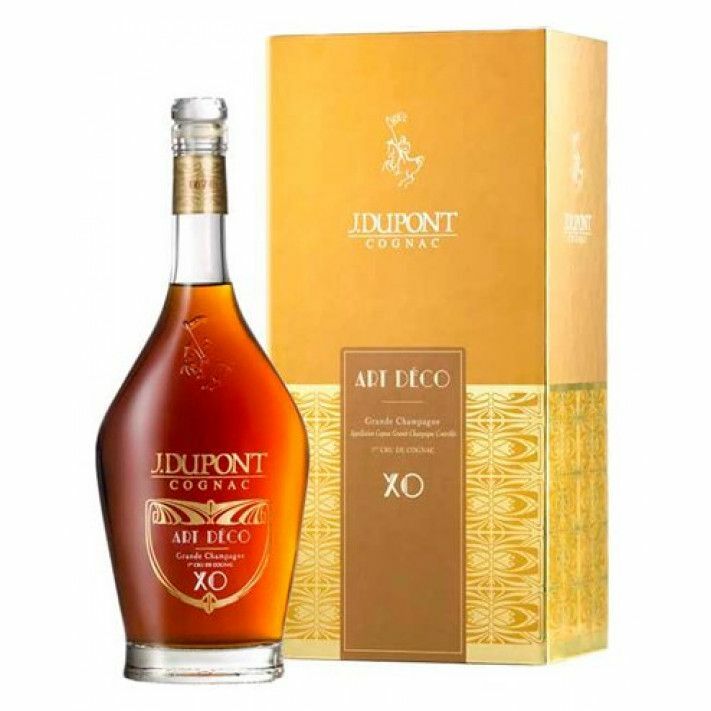 The award winning J. Dupont XO Art Deco Cognac is as beautiful on the outside as it is within. And by this we mean that both the presentation and the tasting experience are something truly exceptional. Although the house doesn't boast about it, this is a Cognac that's only produced as an annual limited edition. With only 10,000 bottles each year, it's a Cognac to be treasured. This is a Cognac to share with those you love, or with special friends. But however you enjoy it, be sure to take your time. This is certainly not a Cognac to be rushed. And you don't simply need to take our word for how good a Cognac this really is, because it seems that not an industry award goes by without it claiming another honor. A wonderful sensory experience, from the moment you set eyes on it right through to the deliciously satisfying and lengthy finish.